Could you – or someone you know – run the Oxford Half Marathon for us? We have five charity places for the Oxford Half Marathon coming up in October. We would very much like to invite you to run for us. Places are £35 each, with participants pledging to raise £100 for OCCTOPUS for their run. We will provide you with stylish OCCTOPUS T-shirts, and will share your story from training to the race on our website and social media. 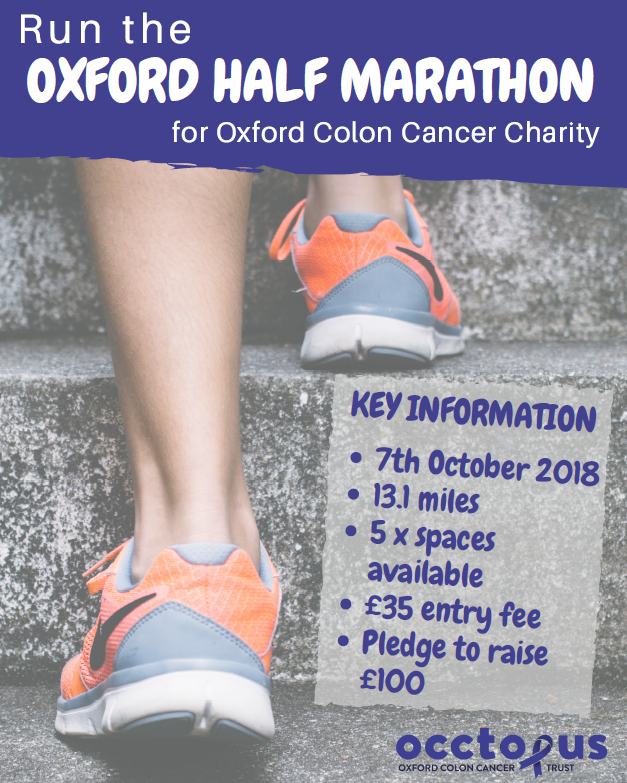 Places will be allocated on a first come, first serve basis, so do claim your spot by emailing us at marianne.julebin@occtopus.org.uk with Oxford Half Marathon Entry in the subject line. And to add a little competitive spirit into the mix, there will be a prize for whoever raises the most money. On your marks, get set, go!